Spirit Catholic Radio is the perfect place to publicize your Catholic event. Whether it’s an event for your parish, Catholic school or Catholic organization, our radio network is here to help. We offer affordable on-air packages to meet your needs. Please use the form below to purchase announcements and guarantee your event is heard on the air. This request form is designed for use by non-profits that wish to promote a single event.For promoting ongoing campaigns, promoting the mission of a non-profit, awareness campaigns, etc., call Director of Underwriting, Mary Jorgensen, and she can help create an affordable, effective on-air package to meet your needs. Please note that we do reserve the right to determine whether or not an event should receive announcements on the network. Pricing options are listed below. Once you click on the “Click here to purchase a package” button, you can select which option you’d like. If you have questions, please contact our Director of Underwriting, Mary Jorgensen, at 855.571.0200 or via email. OPTION 1: Total of 15 -second recorded announcements which will air any time Monday through Sunday from 5 a.m. to 12 a.m. during the three weeks leading up to your event. Cost: $195 (More than $300 value donated to your organization.) * Limit 1 package per event, per month. OPTION 2: Total of 25 -second recorded announcements which will air any time Monday through Sunday from 5 a.m. to 12 a.m. during the three weeks leading up to your event. Cost: $240 (More than $750 value donated to your organization.) * Limit 1 package per event, per month. OPTION 3: Total of 40 -second recorded announcements which will air any time Monday through Sunday from 5 a.m. to 12 a.m. during the three weeks leading up to your event. Cost: $300 (More than $850 value donated to your organization.) * Limit 1 package per event, per month. OPTION 4: Total of 30 -second recorded announcements which will air any time Monday through Sunday from 5 a.m. to 12 a.m. during the three weeks leading up to your event. Cost: $150 (More than $750 value donated to your organization.) * Limit 1 package per event, per month. OPTION 5: Total of 50 -second recorded announcements which will air any time Monday through Sunday from 5 a.m. to 12 a.m. during the three weeks leading up to your event. Cost: $200 (More than $1,500 value donated to your organization.) *Limit 1 package per event, per month. 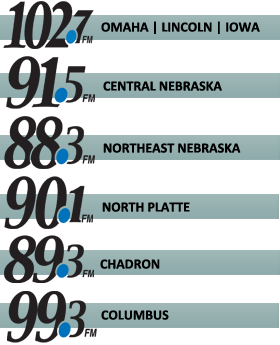 PLEASE NOTE: Spirit Catholic Radio Network reserves the right to edit for adherence to broadcast standards and may refuse any submission and is under no obligation to broadcast or post any information. Once you click on the “Click here to purchase a package” button, you can select which option you’d like (1, 2, 3, 4 or 5).